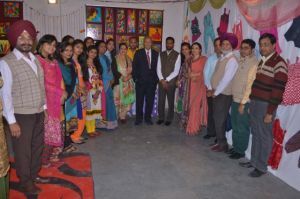 An exhibition ‘Creations – 2015’ was organized by the Dept. of Fashion Design and Technology displaying a collection of various types of apparels including traditional Indian wear, bridal wear, kids wear as well as various home decorations. Sh. S. K. Ahluwalia, Commissioner (Retd. 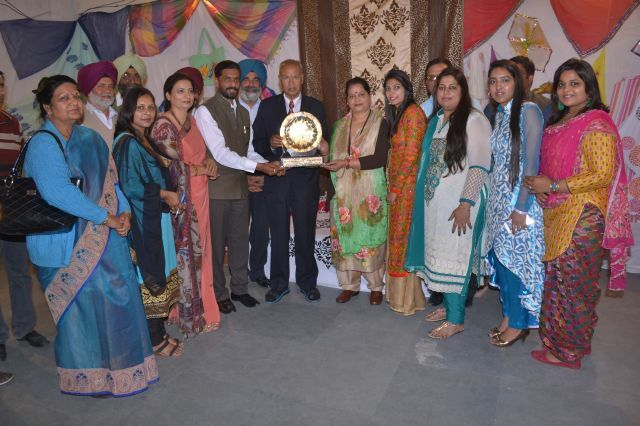 ), Patiala Division and Dr. Daizy Walia, Dept. of Dance, Pbi. 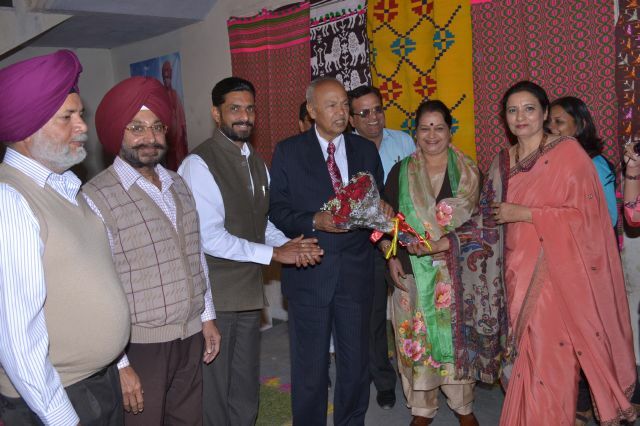 Univ., Patiala inaugurated the exhibition. Dr. Daizy Ahluwalia appreciated the efforts of the girl students and said that by acquiring this skill they will be self-dependent and it will be a big step towards ‘Women Empowerment’. She said that in this competitive age, fashion technology can be a new opening for employment opportunities. The students must work hard, under able guidance to face the new challenges. Sh. S. K. Ahluwalia appreciated the artistic work of the students and extended an opportunity to the students to participate in the ‘Dubai Fest’ to be held in January, 2016. He offered free boarding and lodging and other expenses to the students. Welcoming the guests Dr. Khushvinder Kumar Principal of the College said that this talent of the students will make them self-reliant financially and get respect in the society. 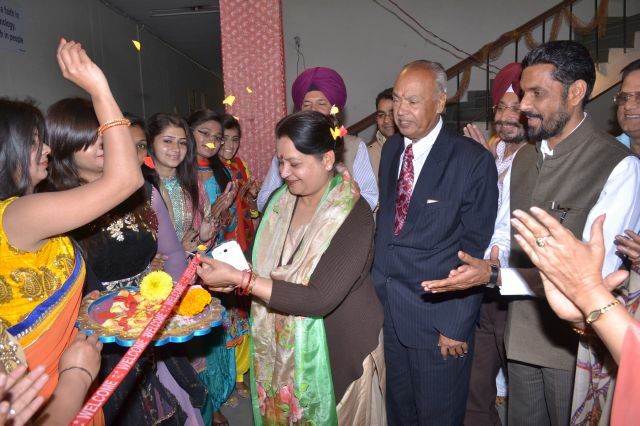 The Co-ordinator of the department Prof. Baljinder Kaur expressed that all the dresses are the original creations and a result of consistent efforts of the students under the guidance of their teachers, Ms. Veenu Jain. Nandini, Neetu Gupta, Amarjot Kaur and Harpreet Kaur. Sh. 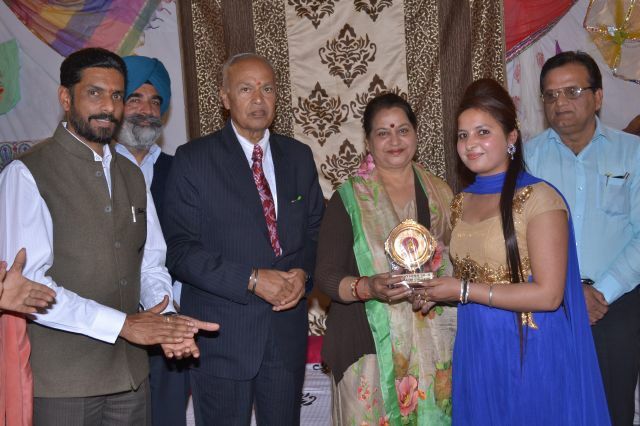 S. K. Ahluwalia and Dr. Daizy Walia gave away prizes to the students who secured positions in different competitions in fashion designing organized in the college. The college felicitated the guests with mementoes. Mrs. Baljinder Kaur presented the vote of thanks and Ms. Veenu Jain conducted the stage.